Apple Shaped Body Type: This type has a smaller/narrow top and a wide bottom. There are many options to dress here. Try to accentuate your top by showing off. 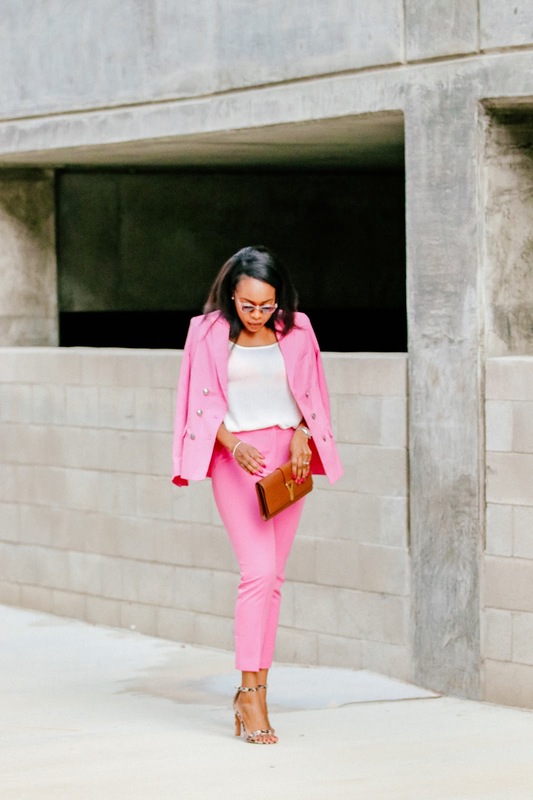 Wear narrow tops and semi-fitted bottoms. If you like to show your assets in the lower area, knock yourself out and wear fitted bottoms too:) In picture number 3, just adding a narrow belt around the waist of this dress would create a gorgeous figure for the Apple Shaped body type. Column Shaped Body Type: This type has more of a square or boxy shape. Have no fear it is easy to accentuate your shape with clothing, even in a swim wear. The focus should be your waistline. Always try to define your waistline by clinching it and wearing the right type of clothing, or throwing the perfect highlighting accessory (metallic belt, embroidered belt, tie a thin scarf etc.) on that area. Peplum tops are perfect for this body type (picture 2). 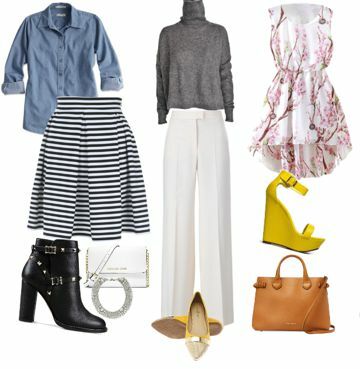 Peplum tops gives you a fit, then a flare. The fit is accentuated in the waistline and the flare joins right below. Fit and flare dresses (picture 1) are perfect too, it adds shape and dimension to your body. Hour Glass Shaped Body Type: This body type is what would be called evenly proportioned. Clothing choices can be skin fit, loose, large etc. Body cons and hugging garments are good options for this group. Note in picture number 2, the red dress almost mirrors the shape of an hour glass. 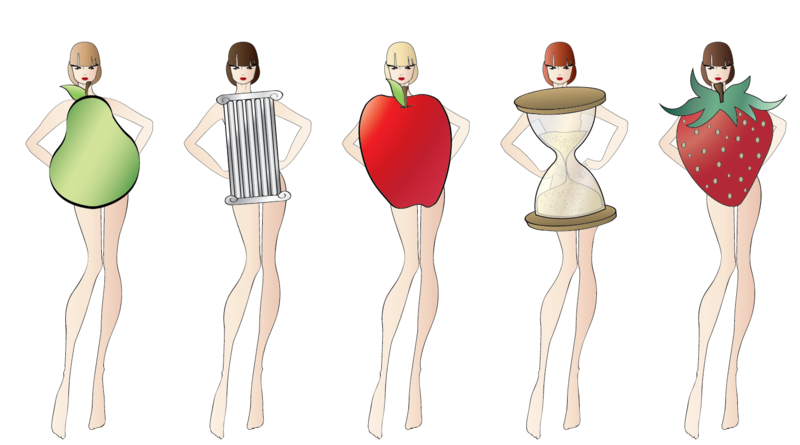 Pear Shaped Body Type: This body type is very similar to the Hour Glass. The only difference is that the upper body of a Pear Shape is usually a bit smaller that the hour glass. Nonetheless, they can both share the same wardrobe and mix styles between each other. Bare in mind that the lower body of the Pear Shaped is usually rounder than the Hour Glass. Tastefully accentuating the lower region is key to a great style. Strawberry Shaped Body Type: This type has an inverted form. The top is bigger, sometimes with large shoulders and the bottom I smaller, many times narrow hips and thin/smaller legs. 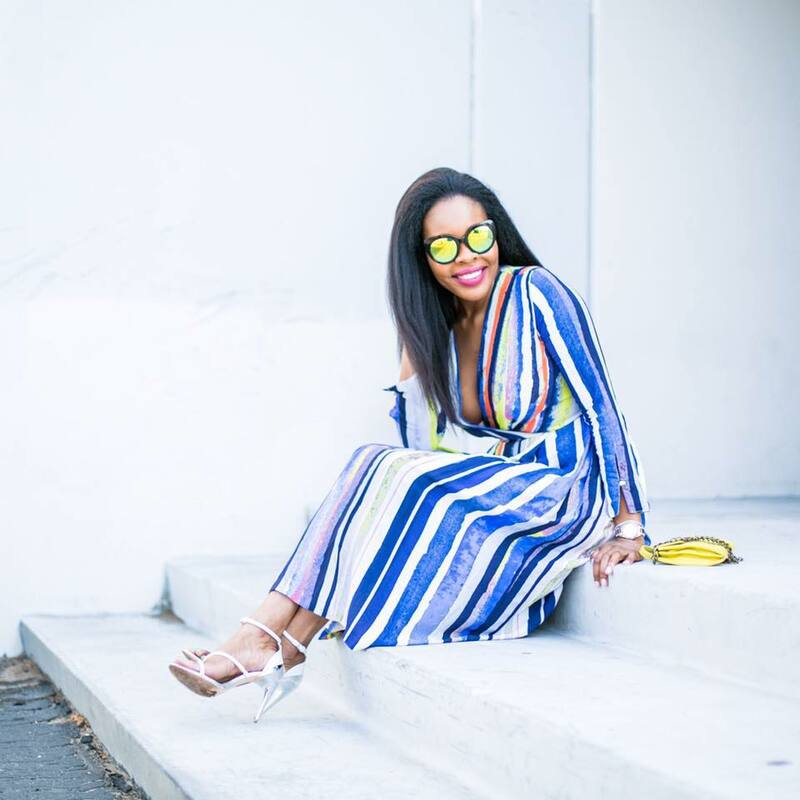 The idea here is to make the upper body appear smaller by wearing narrow fitted tops that flow into a wider bottom or a dress with the same proportion (e.g. picture 3). This will allow the wide bottom to appear fuller. The bottoms to wear on your lower body are more loose fitting and ones that will give a wider appearance (e.g. picture 1) In this picture, you would tuck the denim shirt in the skirt and the tuck would narrow the bottom of the shirt and blend right into the flared skirt.. By this you try to clinch the top and widen the bottom to afford for a more proportional look overall. Try it, you'd be surprise how much different you look. Here is a cool animated picture of the body shape fruit reference I used in this post. I want to state that I am in no way trying to offend or be offensive to anyone by using the fruit reference. There are many references out there and name categories for body shapes. I chose the fruit idea because it sounds fun. This post is not rigid, it is intended for those who would like a little guidance as to how to dress their shape. I plan to do a follow-up regarding weight and height and how to dress accordingly. Please feel free to comment or send me an email on this topic.